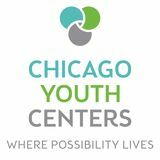 Since 1956, CYC has made its home in some of Chicago’s most under-resourced neighborhoods. From our very beginning, we have strived to equalize access to the opportunities that will help our youth, teens, and families succeed. We achieve our mission through six dedicated Centers, four school-based partnerships, and eight early childhood partner sites. Our neighborhoods face many challenges, often caused by the cycles of poverty and violence. But we also know the strength, pride, and determination that can be found in each of CYC’s communities. We are so grateful to our supporters for believing in our communities, and making each of our locations places where possibility lives. CYC-Centro Nuestro provides Early Childhood Education. The Center is bilingual with both English and Spanish program offerings. Opened in 1979, CYC-Centro Nuestro was the first CYC Center created specifically to address the needs of the Latinx community. CYC-Epstein offers Early Childhood and Out-of-School Time programs. The Center, named for CYC co-founder Sidney Epstein, is an epicenter for learning, with a Maker Lab, computer labs, expertly-staffed classrooms, a gymnasium, and more. The Center has been a staple of the North Lawndale community since 1914, and was one of the founding Centers of CYC in 1956. CYC-Donnelley, one of the original CYC Centers from 1956, supports youth with our Out-of-School Time program. Special features of this Center, named for CYC co-founder Elliott Donnelley, are a Maker Lab, a Maker Studio for digital arts and music, a swimming pool, and more. This Center is also the hub for CYC's summer day camp programs. CYC-Crown joined CYC in 1977 during a period of active community revitalization. CYC-Crown, which serves children with Early Childhood Education and Out-of-School Time programs, is home to CYCâ&#x20AC;&#x2122;s first Maker Lab, a gym and climbing wall, and expertly-staffed classrooms. CYC-Gautreaux provides Early Childhood Education. The Center is located within the Altgeld Gardens public housing complex, a community that is isolated from most of Chicago. The Center is owned in partnership with the Chicago Housing Authority. CYC has had a presence in this community since 1965. CYC-Fellowship, originally opened as a settlement house in the late 1800s, was adopted by CYC in 1960. The vibrant Center offers Early Childhood Education and Out-ofSchool Time programming. The Center is known as a pillar of the Bridgeport neighborhood and actively participates in giving back to its community. Early Childhood Education Before a child enters kindergarten, their CYC journey begins. Through five CYC Centers and partner locations, CYCâ&#x20AC;&#x2122;s Early Head Start (birth to age 3) and Head Start programming (ages 3-5) focus on the development of childrenâ&#x20AC;&#x2122;s social-emotional, cognitive, language, numeracy, and physical development skills to make sure that they are developing at an appropriate pace for their age and are ready for the first day of kindergartenâ&#x20AC;&#x201C;and beyond. Additionally, CYC supports parents as they seek social service resources or health providers. A child in CYC’s Head Start program counts apples with his teacher’s help. An instructor from UIC leads a ‘Hip Hop to Health’ class for the children at CYC-Centro Nuestro. 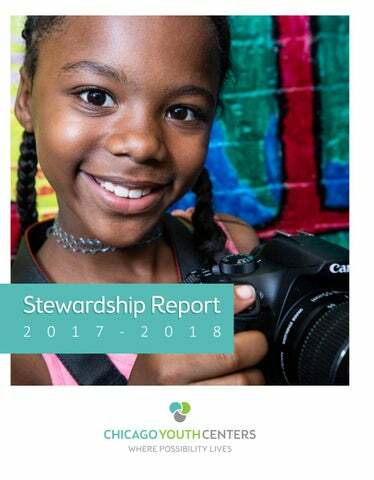 In 2016, out of more than 50 Head Start sites, CYC was selected by the Erikson Institute to implement an innovative project to improve mathematics teaching and learning for the staff, children, and families at CYC-Fellowship. Collaborative Math, a National Science Foundation funded project, was a two-year partnership that introduced effective, and now proven, methods of teaching math to children between the ages of three to five. Last fall, the kids at CYC-Centro Nuestro hipped and hopped their way into healthy habits. The Center partnered with the UIC Hip Hop to Health program to add a fun twist to their morning routines. During the eight-week program, children learned about healthy foods vs. “slow” foods, like cake and candy. Every week, the team from UIC spent 20 minutes teaching the kids about various food groups using puppets. They also provided a 20-minute physical movement activity of dancing and exercise. CYC values our community partnerships that bring innovative ideas and fresh perspectives to our programs. In fall 2017, Aiden, 4, could not get a sense of numbers. When asked to draw three “creatures,” he would draw five because he could not correlate the number of objects to a written numeral. Using techniques from Collaborative Math, CYC teachers worked with his mother to strengthen Aiden’s numerical comprehension. By May 2018, Aiden could correctly match numbers with objects. He has begun kindergarten with a strong foundation! The cornerstone of CYC programming is our focus on the 21st century professional skills that will help our kids grow into successful, productive adults. Our innovative curricula and clubs revolve around social-emotional learning and the “Four C’s:” creativity, collaboration, communication, and critical thinking. Through projectbased learning at each of CYC’s sites, our youth and teens use hands-on experiences to develop the skill sets they need to succeed in school, college, and ultimately, the professional world. A CYC teen works on the computer with a staff member. Amara, age 9, works on a double-sided lotion bottle for the Chicago Student Invention Convention. Janese, a CYC teen, presents a business plan to Chicago Cares. Last spring, CYC teens dived into the “real world” as entrepreneurs. They developed a business plan to design, market, and distribute 1,100 official event T-shirts during Chicago Cares’ 25th Serve-a-Thon event in mid-June. This collaboration pushed our teens to think critically about design, get quotes from vendors, and sort out the logistics behind prices, sizes, and quality, all while working on their public speaking skills as they pitched their “business” to the organization. Teens understood the power of collaborative work, witnessed the ideation process, and learned how to negotiate. When Victoria grows up, she wants to be an inventor. It was only natural that she signed up to participate in the Chicago Student Invention Convention with CYC’s team. Youth were challenged to explore innovative solutions to everyday problems and create a prototype and plan to present to judges at the event. The students, who worked in teams, competed against hundreds of other Chicago children. Among the many inventions created by CYC youth were glow-in-the-dark shoelaces to keep pedestrians safe from vehicles and a battery-powered tech bag that charges electronic devices on the go. “I learned that to be a successful entrepreneur, you have to have an idea and believe in it, but you also have to take feedback and persevere to improve it,” said Janese, a teen at CYC-Fellowship. Serving Children Where They Are CYC's school-based program, 21st Century AVE (Academic Vibes and Enrichment), allows CYC to bring its programming directly to our partner schools. 21st Century AVE provides academic enrichment opportunities to help students in underperforming schools meet state and local performance standards. The program, which served 430 children this past program year, also offers a variety of services to students and their families, including counseling, art, music and recreation classes, technology education, and character education. As an after-school program, CYC is a vital resource to the families in Chicago Public Schools as it directly serves children where they are, while providing engagement outside of school hours to increase their academic confidence and success. Science, technology, engineering, the arts, and math are the five core subjects that power the world and CYCâ&#x20AC;&#x2122;s programming. Whether youth and teens are in one of our three Maker Labs learning how to use a 3-D printer to make complex designs, or understanding the basics of structural engineering by experimenting with cardboard rolls, they are diving into topics that will eventually help them become the worldâ&#x20AC;&#x2122;s next innovators. Two teens work on a music project at CYC-Donnelley. A group of GEMS students are excited to answer a question during a field trip to Ignite Glass Studios. Dymin and Khloe learn how to use a DSLR camera during a summer photography club. Women and young girls across the nation have traditionally faced barriers when trying to enter lucrative STEM fields. After the life of Paul Wisniewski, 25, was cut tragically short in 1994, his parents, Hank and Joyce Wisniewki, along with their son Mark, formed the Paul Wisniewski Memorial Fund. Enter CYC’s GEMS (Girls Excelling in Math and Science) Club and the TinkerBelles. These STEM clubs give the young women in our programs an opportunity to explore new career possibilities, go on exciting field trips, meet successful women working in STEM, and conduct cutting-edge experiments, like building rockets and exploring engineering. We are especially grateful to the Chicago Foundation for Women for funding innovative opportunities that empower and inspire our young women to pursue STEM careers that will put them on a path toward economic security. The Fund supports CYC’s art programming, offering encouragement and guidance to young artists. The Fund also supports CYC’s Arts and Innovation Coordinator position. Monica Wizgird, who holds this role, has introduced dozens of compelling projects, such as how to use 3-D printer pens, paper towel tie-dye, glass art, print making, and more. Most recently, she started a photography club to teach CYC youth the basics of photography and how to work a DSLR camera. We are so grateful to our longtime supporters, the Wisniewskis, for honoring their son by inspiring thousands of CYC children. At CYC-Donnelley, the new Maker Studio has become a hub for teens looking for a creative outlet. When the studio opened in fall 2017, teen participation at the Center quadrupled. The Maker Studio is home to “Teen YOU in the Stu,” a time for CYC teens to create unique compositions with professional music equipment. While working in the space, CYC teens create beats using programs like Garage Band and then develop raps and spoken word lyrics to accompany the beat. The enthusiasm for this has been contagious and has truly allowed for students’ natural creativity to flourish. Maurice Walls, a CYC-Epstein alumnus, poses on the Michigan State University campus. He is a freshman attending the college. Academic Supports Learning does not have to stop just because school is done for the day. CYC keeps children engaged after school by keeping their brains stimulated, providing homework help, and pushing our kids to look toward the future. We offer several academic resources that range from assisting with college and career readiness to supporting children in state care. In the warmer months, we prevent summer learning loss through a holistic day camp. By providing these vital resources, we help our children and teens build confidence in themselves and forge their path to success. A CYC staff member works with children on math problems. Maurice grew up attending CYC programming. Here, he poses with a fish he caught during a CYC field trip in the mid-2000s. Tomatoes that sprouted from the garden cultivated by youth in our Education Support Initiative program. Before Robert*, 12, was placed in his foster home, he missed multiple days of school and received below average grades. After, he still struggled with behavioral issues at both home and school. His foster parent enrolled him in CYC’s Education Support Initiative (ESI) program. Every summer, CYC transitions into fullday programming to support our children throughout their summer vacation. To combat summer learning loss in reading and math, CYC youth workers teach children in daily reading and math labs. The ESI program works with children in care of the state. Staff use Individualized Education Plans and unique clubs to ensure that youth overcome the obstacles they face to stay in school and graduate. We also offer a variety of project-based learning clubs, facilitate exciting field trips, and teach recreational activities like swimming. In the summer, many children in divested communities can be cut off from food, safety, and educational opportunities. After joining CYC, Robert’s outreach worker helped him learn independent ways to resolve issues. Since, he has had less trouble and has performed better academically. We are grateful to supporters like the Alvin H. Baum Family Fund and the many individual donors who help CYC keep youth safe and engaged through the summer. The ESI program keeps youth like Robert on the path to success by giving them extra support and helping them explore their interests. *Name has been changed to protect child’s privacy. Family Engagement CYC engages the whole family to ensure that our children continue to develop healthy habits at home and build strong bonds with their families. Staff facilitate one-onone counseling, family field trips, and parent outings. Our programming also reinforces social-emotional learning by teaching families effective ways to deal with trauma and how to support childrenâ&#x20AC;&#x2122;s development during critical transitions. A Chicago police officer talks with parents about domestic violence during a CYC family engagement workshop at CYC-Epstein. Aisha Williams poses with her young twin daughters. Mei Yang works with her daughter Yishan on a craft project at CYC-Fellowship. Every morning, Mei Yang sends her two daughters to elementary school, then heads over to Chinatown for English classes and then Bronzeville for work. To serve the whole family, CYC hosts workshops that holistically approach family wellness. Recently, CYC held a workshop that provided key information about breast cancer and offered referrals for discounted mammograms. Since joining CYC last year, Aisha, a mother of twin girls in CYC’s Head Start program, has attended family engagement workshops that cover parenting techniques, family mental health, healthy living, and more. One parent, Yateece McCregg, said that it was an informational experience and that workshops like these matter because the disease can affect anybody. Yateece, who attended CYC as a teen and enrolled her daughter at CYC-Epstein 14 years ago, has attended several CYC workshops, spanning topics such as job readiness, healthy cooking, budgeting, and more. “I’ve learned how to resourcefully manage my twins when they have tantrums,” said Aisha. CYC believes that if a whole family is engaged, our children become more invested in our programs and demonstrate stronger results in their social-emotional growth and 21st century skill development. Since 2016, the Bright Promises Foundation has supported CYC by funding our Parenting with a Purpose program. Healthy Living CYC believes in not only encouraging a sound mind, but also a sound body. We teach our youth how to be healthy and responsible global citizens. They learn how to identify nutritious foods, prepare healthy meals, and support the environment. Youth also participate in recreational activities that range from ballet to basketball to floor hockey. Through our various initiatives and community service projects, youth leave CYC fully aware of the personal impact that they can have on the world. The first fall harvest of the garden cultivated by the little gardeners at CYC-Gautreaux. An I Am We teacher leads a ballet class at CYC-Crown. CYC-Fellowship hosts a weekly cooking club. Josiah poses with a fruit and pancake skewer that he made himself. CYC community gardens have sprouted up across Chicago, including CYC-Gautreaux in Riverdale. Apple pie, cheese sticks, and pizza might not sound like the most nutritious options. But the teens at CYC-Donnelley took a dive into cooking last spring by learning about how to create healthy alternatives to their favorite foods. CYC-Gautreaux’s garden was grown with the support of TCA Health. The children, aged 3-5, used their school readiness skills such as math, science, literacy, and large motor skills to plant the seeds that grew into vegetables that they then shared with their families. Their most recent harvest included okra, beets,and greens. Gardening cultivates self-esteem, self-confidence, and self-motivation in young people. It pushes them to be patient and develop resilience. Gardening also makes children more interested in formerly “yucky” vegetables, thus developing healthy habits that can last a lifetime. Khali Smith, the Chief Operating Officer of Lou’s Gourmet Sweets, ran a program at the Center to teach teens the basics of cooking, nutrition, and kitchen safety. Cameron, 13, said he loved the program because it made cooking simple, taught him what his body needs, and encouraged him to start reading nutrition labels on food. Cameron’s favorite dish he learned to cook was healthy cheese sticks. He has already incorporated what he has learned into his life, and plans to keep exploring cooking. “It was very fascinating that you can make something that looks and sounds hard, but make it so simple, easy, and accessible,” Cameron said. ‘You Look Good, I Look Good, We Look Good’ This past summer, a group of girls from CYCCrown learned to love their bodies through ballet. The program came to the Center through a partnership with community organization I Am We. The partnership was funded through a grant from African American Legacy. When the class started, some of the children felt self-conscious wearing a leotard, said Latisha Thomas, the CEO of I Am We. To boost body positivity, each class began with a mantra: “You look good, I look good, we look good.” As a result, the shy kids stepped up more by asking to lead classes and practicing their ballet skills at home more regularly. The children also learned French phrases and the history of ballet. “They really learned how to work as a team and pay attention,” Latisha said. CYC staff perform physical screenings and refer CYC youth to health care providers. to our donors who are dedicated to making the futures of our children, families, and communities bright. The following individuals, corporations, and foundations gave $500+ between July 1, 2017, and June 30, 2018. In September 2018, Jim Donnelley, longtime CYC supporter, passed away at the age of 83. Jim was the son of CYC co-founder Elliott Donnelley and was CYC Board Chair from 1968-1971. Jimâ&#x20AC;&#x2122;s laughter was contagious and his advice was sage. He left an indelible impression upon the thousands of people who were fortunate enough to know him. His love of and support of CYC, as well as numerous similar organizations, are an example to us all that one person can make an incredible difference in a city, in a country, and in the world.